The ball comes with a lot of vintage dancing which we were really worried about the first year, but they accommodate every skill level very well. Each dance is pretty structured and repetitive so it's pretty easy to get a hang of. They go over each dance before the dance and then you basically learn as you go. There's also a buffet dinner and costume contests, but the best part of the ball is definitely the dancing. Andrew and I enjoyed this year's ball although we felt like the first time we went was a lot more entertaining. We don't know exactly what changed this year, but our expectations weren't exactly matched. We may have just been a lot giddier last year than this year. This year we were tired going into the ball which doesn't bode well for a night full of dancing. Andrew let Rowley borrow me for a dance at one point too because he was so tired. We do have to say that our dinner was a lot better than last year with a lot of thanks to Rowley for guessing correctly which tables got to go to the buffet first. 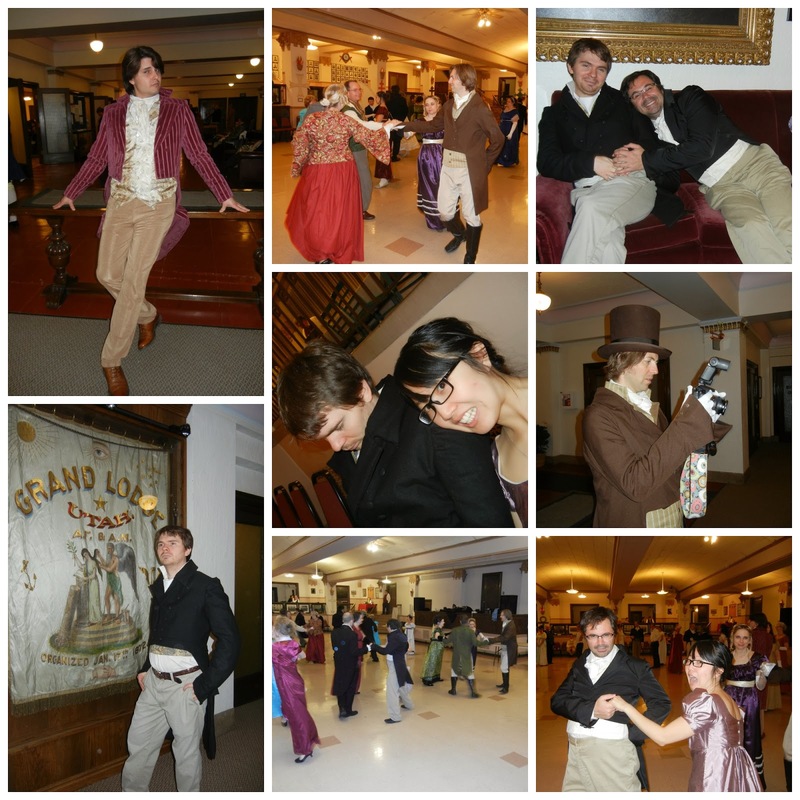 All in all, it was a fun night out with friends and we thoroughly enjoyed stepping back in time.